Design, Printing and Binding... We Do It All! 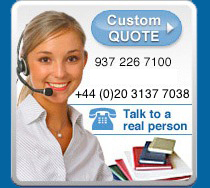 A few possibilities...we can make virtually any book or notebook you can think of. We will be glad to send you a free sample notebook if your company has more than 100 users of such notebooks (one sample per company). If you want us to make you a highly Customized Notebook, then please contact us about the possibility of getting a free sample. Our proprietary technology and high tech manufacturing methods allow us to provide you with maximum content flexibility while doing away with the antiquated "economy of scale" approach to pricing (where you had to order large volumes to get good pricing). 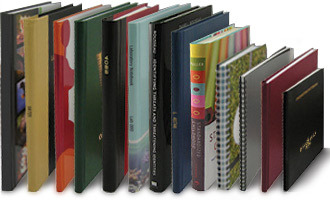 We specialize in hard backed case bound notebooks constructed by artists practicing the Old World art of bookbinding. Your book will be Section Sewn and printed on 24 lb. acid-free, archival safe paper. 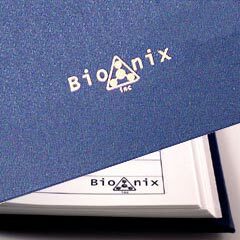 All the materials used in the construction of our books are of the highest quality and are selected based on their ability to stand the test of time.